Our diploma translation services are not just a translation that we offer. We offer more! Besides the best price, we are available 24/7; not just an answering machine, but we have three shifts working in order to help you at any moment with your translation. The 24/7 service at Universal Translation Services is there for you during the weekends as well, when a special team is available to help you out. Now, isn’t that great? No waiting time, no need to contact us during business hours. You can contact us at any time and at any moment. 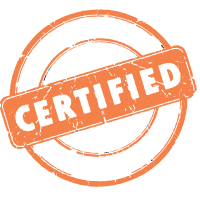 We also charge the lowest prices on the planet for certified translation of your diplomas, degrees and any other academic records you need to have translated. We have a flat rate of $20 per page for a stamped and signed official translation as you need to have it certified most of the times. If you are not sure, find out from the institution if they want to have it certified. Please note: the above price is valid for pages having less than 200 words. If there are more words on the page, our rate is $0.12 per word. If you need to have a high school or college diploma translation to English fast, we can do it for you in 24 hours or less. We can translate from just about any language into English and our certified translation is guaranteed to be accepted by any institution in the United States. Notarized translation is also available if needed. Are you looking for a cheap degree translation service ready to translate your bachelor or master degree in only a couple hours? Look no further, we will do it for you whenever you need to have it done. Contact us to have an accurate translation for any degree, from any language into English, at some of the best prices you can find online. We don’t just advertise a 24/7 service, we are actually available around the clock, even during the weekend, and a project manager will always be available to reply to your questions or to give you a free quote at any time! To top it all off, we don’t charge extra for rush jobs, or for projects needed to be done over the weekend. 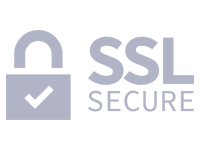 Just send us an email with your documents at [email protected] and your requirements and we’ll send you a quote in minutes! If you accept it, a professional translator will start working on your project at once. Click the live-chat button on the site and an experienced project manager will be there to chat with you in real time. You are able to send us your documents and get answers to your questions or a free quote in just a few minutes! 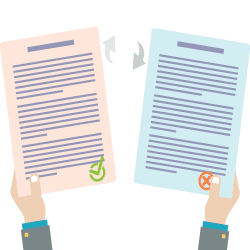 We created a special tool which allows you to get a quote for your certified and/or notarized translation and you’re able to send us your documents with just a few clicks, without having to talk to us! You will receive your quote by email, in seconds. 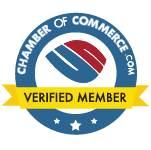 This certified and notarized translation tool will give you directly a total price and if you decide to order you can do that too. If you still have questions, please do not hesitate to chat live with us. Our project managers are always online to answer all your questions. Communication is important to prevent any misunderstanding and we are the specialists in getting things done right! Your high school diploma is not only in your native language, it has quite a few courses that do not have any equivalent in the US? When you give your high school diploma for translation, you are worried how the translator will translate the document and how will it bode in the institution that you intend to submit the translation. You do not need to worry about all of these details when you get a translation from us. We have a thorough experience in translating high school diplomas from around the world and we can give you the best translations. Our translators are highly accredited and have years of experience in academic translations. You have a college diploma from your native land that you need to have translated for international evaluation. It could be because you need in the US or because you want to move to a foreign country for higher education. Whatever the need may be, international translations are specific. You need a professional translator who has experience with translating academic documents and can give you the right translation. We are here with the best translators in business, linguists that are doing legal translations for years and are aware of the requirements. We also provide notarization, so if you need your translation notarized, just ask for that. Bachelor’s degrees all around the world are awarded based on different standards. All of these standards are to be equalized in the target culture when one is getting a translation for their bachelor’s degree. You need a very specialized translation agency if you are going to get a translation that gets the job done. We are the translation agency that you are looking for. We have native translators in more than 120 languages and we ensure that we give the best translation experience for our clients. Our translator will give you the translation that will make your degree speak to the reviewers. Call now and get a quote for the translation of your bachelor’s degree. You’ve got your master’s degree in a very specialized course and you are not sure that the specialized degree that you got will have much clear equivalence in English? You are applying for higher studies abroad and you need a translation agency that can translate your degree the right way, according to the specifications of the admission office? The translators assigned to your project will understand your degree from a native’s perspective and will know just how to translate the content and what are the equivalent terms in US English. The translation will be accepted by any US university without any issues, that is our guarantee and we always keep to it. Are you applying in an international educational institution that will require a translation of your report cards? Universal Translation Services comes to your rescue. We have some of the best translators who can do certified translation of report cards for our clients who are aspiring to study abroad. 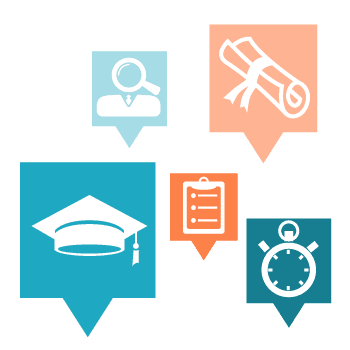 Certified translations for report cards are a service that we provide for our clients because most international institutions do require translations of transcripts and report cards for the students who are applying to study there. 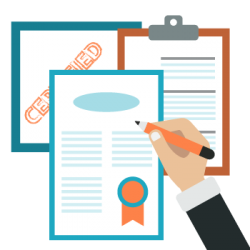 We are specialized in providing certified translation services for any personal documents, including your diplomas, degrees, academic records, record cards, etc. A certified translation is needed when applying for a university because the translation that is presented to the admission office will have to be accurate. We design our translations keeping our target institution in mind. We will make sure that the subject names, the marks distribution and all other translations that we present is compatible with the receiving institution and they will find our translations easy to understand and helpful in reviewing the case that our client intends to make. If you need certified translations for report cards, or any other documents, prom any language into English, get in touch. Are you in need of official translation of academic records in order to enroll in a US university? You should come see us for your academic translation needs because we know the requirements and we are able to provide exactly what you need. All educational institutions need to be sure that they are getting authentic papers that are verified. They need to be sure that the translation is up to the mark and there is no discrepancy in the translation that is presented at their evaluation team. And for this reason, they insist upon certified translation of academic records. 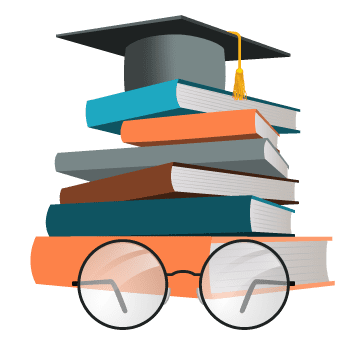 Academic translations have always been a challenging task because they involve a great deal of terminology, an understanding of the subject in which the paper is written and a great competence as a translator. An academic paper is phrased with the utmost sophistication and translating the logic as well as the thought is a challenging task even for a very good translator. We can do it because we are one of the best in business. Our translator’s professionalism along with our proofreading process and the use of multiple translators to review the translation; makes sure that the translation is done with utmost professionalism, is accurate, and it follows the rules so it will be accepted by the university. An official translation is defined as a translation that has been stamped by an authority. The official translation is authorized translation, for instance, of a decree or a certificate or another document by an authority to be delivered to an authority. Translations performed by sworn translators are always similar to the original document. Official translations usually carry a stamp, and they are often followed by a certification or a statement by a translator. In other words, an official translation is not a text you can get on Google Translate, but a correct and legal document translated by an expert official translator. Official translations have a legal nature, so these kinds of translations will be asked usually for legal purposes. Official translation of a document means a translation that can be used for one of the following objectives: employment-based VISAs, green card applications, citizenship applications, marriage-based applications, other types of VISAs and studies. All universities and colleges in the US require an official translation of your study documents if they are not in English. 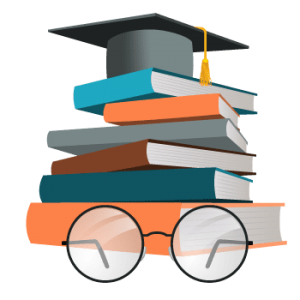 Usually diplomas and degrees contain information about courses taken and grades associated with them. In this case the grades need to be adapted to the US grading system, and courses need to be adapted as well, without changing the meaning of the text. For this reason, professional translators need to be employed for this task, linguists with experience in translating such documents for the United States. If you are looking to get a job in the US and need to have your diplomas or degrees translated, certified translation would be usually sufficient for the company records, however, some would require you to have the translation notarized. Always ask about the requirements before translating your documents in order to be sure that you are ordering what you need. If you intend to study or to get a job in the US and your documents are not in English, you will need to have all your documents translated, first in order to get your visa, and second, to pursue your goal. 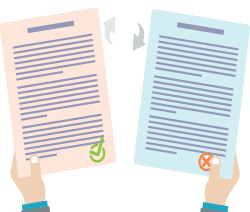 Depending on where you will submit your documents, the official translation would need to be either certified or notarized. If you deal with the immigration office, you will need USCIS certified translation, as they rarely require notarization and only for some documents coming from specific countries. They won’t need your diplomas, but your birth and marriage certificates along with other documents. If you’re getting a job here in the US, simply ask your employer what you need to provide. If you’re going to continue your studies in the US, you will need to have some translations certified and others notarized. The best thing to do is to ask the admission office what they require and as soon as you are clear, get in touch with us. No matter what type of translation you would need to provide for any document, we will do it for you fast and at the best price. How do we translate diplomas? We first convert the file you have sent to us (a photo, a pdf file or however you send it to us) into an editable format. Once this is done, we have a translator translate the text, a second to edit, and a third translator to proofread the translation. We then send you the draft translation in order for you to check the names and dates. Once you send us your approval, we will add the translated text into the editable file we created. 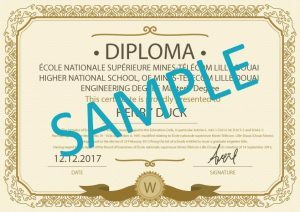 Finally, we send you the diploma in exactly the same format it was, but translated, along with our certificate of accuracy. 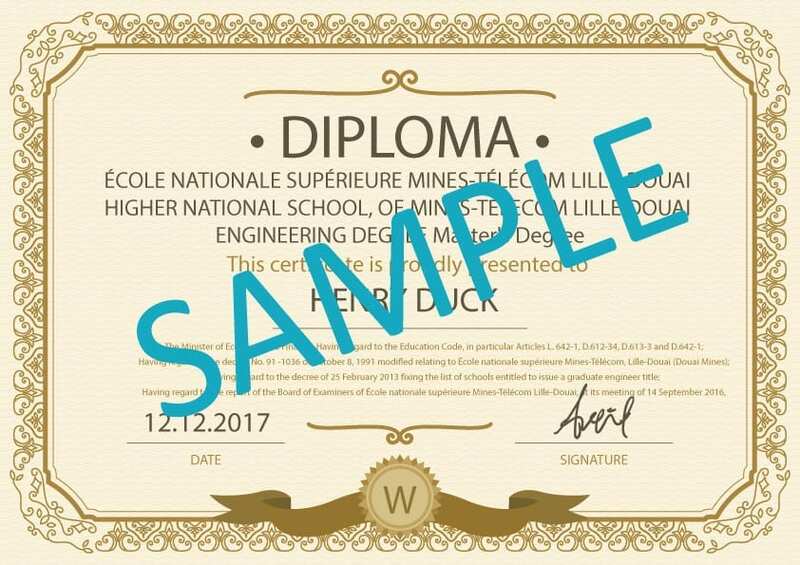 How does a translated diploma look like? The translated diploma will look exactly like the original, only translated. If you want to see a diploma translation sample, click the image on the right. Do you have a degree that needs to be translated for your plans to go abroad? 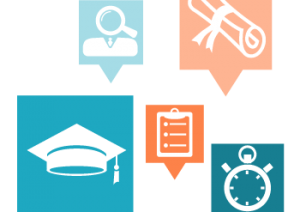 Worry not, Universal Translation Services is one of the best providers of online certified translations for the degrees of students and professionals who want to use their academic background in the United States. If the translation is needed for college or university admission, or for getting a job in the US as a foreigner, you will need to get a certified translation for your degrees, diplomas, and any other academic records you may have. You will need the translation to be done according to the requirements of the institution requiring it, otherwise you will face delays or rejection. You are always welcome to visit us at our offices, but if you can’t, you can get your translation degree online, at any time. We have professionally trained translators, well-experienced in the legal field. Their translations will be cleared by any office in the US without any problems or complications. We translate from over 120 languages! And counting, we are the proud group of translators with over 120 languages on our belt. No matter how far off, remote or different your language may be, we are here to give you the translation that you need with the help of qualified translators. Our project managers are simply great! We have some of the best project managers in business who will ensure that you get the translation that will help your cause and you will be proud of the translation that you have. We are always online so if you can’t visit our offices, you can order and discuss with our project managers online and give us the translation task at hand. We will do the translation and send it to you through email or post if needed, and you are able to pay us online. We are ideal for remote residents who need accurate services while they still live far from our offices. 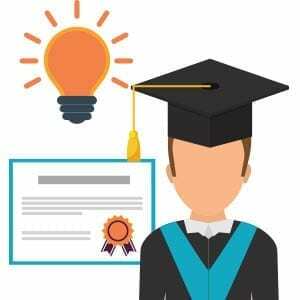 College diploma translation service, how does it work? If you have comments let us know, we implement them, of course, for free! Universal Translation Services provides certified diploma translation services from any language into English. If you are planning on traveling to the US or studying here as a foreigner, you will need to have your academic records, your degrees and your diplomas translated in English. This is an important requirement that will not only make your life easier, but will also help you get relevant services rendered to you faster. If your documents are in any other language apart from English, you need to get diploma translation services. There are so many individuals who have used these services in the past, and the outcome for them has been impressive. In as far as academic translation is concerned; this is one of the best options that you can look into. Need a certified translation for diplomas and academic records? We have you covered! The translation services that we offer are simply accurate and done in close accordance with the requirements. 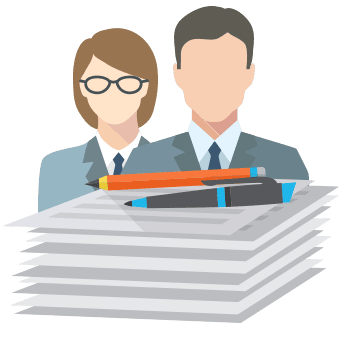 With us, you are able to get your documents translated and sent back to you in record time, and this is something that you will definitely appreciate. Everyone loves it when they request for a service and they have it done and cleared in record time, and the same applies when you are looking to translate your diploma. When you are coming to us to meet your translation needs, you can leave your worries at the front door. We will forthright tell you what we need from you, and then from there we will have a team of experts work on your translation. Once this is done, you will then be able to use your papers for whichever reason that you need. In terms of linguistic services, you can be sure that you will barely ever get a service provider that offers you the services we can provide you, at the rates that we do, and with the speed and precision with which we offer our services. 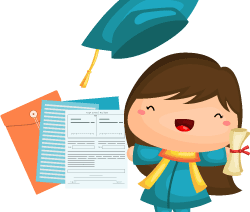 There are particular formats and standards to translate a diploma. At UTS, professional diploma translation is undertaken by native linguists who have sufficient understanding of the local educational system and terminology and can translate your high school diploma accurately to the targeted language. When we receive your file, we will start converting the file to an editable format using special software. With diplomas and grades this is something that needs to be done very securely and precise. 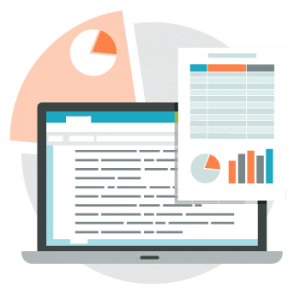 After the conversion we compare both documents (your original files and the converted files) to make sure that the conversion was done right. Then we send it to our professional translators for translation. When the translation has been done, a second translator will check all text. We call the second translator a proofreader. Once finished, a draft copy will be sent to you in order to check names and dates. If the translation is fine, you need to approve it by pressing the special button in the email. Once approved by you, we will certify or notarize the translation (according to your requirements) and send it to you. You spend a lot of time and energy to complete a course in school, college, or university. You can’t pass a class or get a degree without putting in a lot of effort. You have to stay up late at night, ignore social activities, and give up procrastination to achieve success in studies. So, what is the definition of diploma? A diploma is a certificate awarded to students by educational institutions after the completion of a course of study. Each country and even each institution in a country has different diplomas. The format and terms used on one diploma will be different from another diploma. Diplomas also have seals of the educational institutions that speak for the authenticity of the document. A diploma is the written proof of a student’s hard work. That’s why successful people often hang their diplomas in their offices. When you apply for another country’s visa (for work or further studies), you must include your diploma in the documents you will submit to the immigration office. But if your diploma is not in English, you will need to get it translated. Don’t let the idea of getting your diploma translated into another language upset you. If you hand over the task to an experienced translation agency, you will have nothing to worry about. 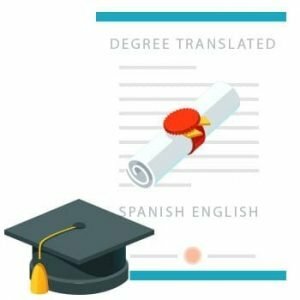 It is true that diplomas are unique and translating them can be a difficult thing but Universal Translation Services pride itself over its shining record of successfully translating a huge number of diplomas in the past. Get in touch with us to get the best diploma translation services at the lowest rates around. 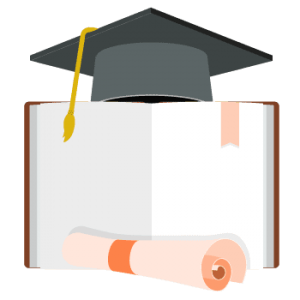 What is a diploma translation? There was a time when you studied because your parents told you so. Later on, you studied because there was nothing else to do. Then you got interested in some fields but eventually you came to a point where you studied because you wanted a decent job, most probably in the US. And the questions that came to your mind were, What is a diploma translation? What is the procedure? We are sure you got plenty more bouncing in your head. Stop worrying over those and get in touch with us today. We provide translation for your diplomas regardless of whether you acquired them at a college, a university or any other educational institution. 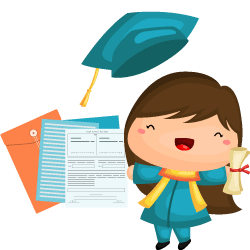 Our procedure is also simple, you send us your diploma, and we check the format, pictures and other details and then translate your diplomas accordingly. Still want to know more, the best way is to contact us, choose our live chat option, email, phone or fill out your query on our contact us page, and we’ll get back to you immediately. Certified or notarized translation available 24/7? Yes! A mentioned before, feel free to come to our offices and chat with us directly but if you can’t make it, you can easily order your translation online. There is no difference between the services we provide and you will get a highly accurate translation in 24 hours or less. If you need diploma translation services or translation of any other academic documents or records, UTS is the perfect choice. We have a large team of professional translators and we are able to provide certified or notarized translations fast and at affordable rates. Even more, we are working around the clock to meet your needs. Contact us at any time, day or night, during weekdays or the weekend, we will be here for you! Ask for your free quote now! How We Keep the Format and Convert the Documents? How Non-Editable Files Are Processed? When we accept files in non-editable formats, we always use special optical character recognition (OCR) software to scan and convert the files into an editable file format. 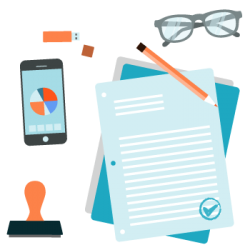 OCR software allows us to keep the structure, the design and the look of the original document as carefully as possible. This indicates that our clients will get the translated file with similar textual content, pictures, tables, and charts as the original file. What Happens During the Translation Stage? Non-editable files do not pose any difficulty during the translation process as the CAT tools can perfectly keep the formatting of documents prepared and imported by them during the export process as well. As a result, translated and exported college certificate or diploma usually require only minimal post-editing. Though, it is not possible to automate the whole file building phase even with the most advanced OCR software; human editors are still required to manage the software correctly. We take this phase very seriously because the software makes mistakes that need to be corrected manually during the preparation phase. Several and education institutes and universities cooperate with us worldwide in every state. 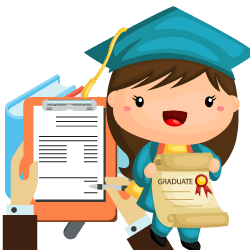 They hire us for high-quality diploma translation services to keep the format and convert the documents so you can be clear to show your diploma and grades to your new university or high-school. When you need a diploma translation, one of the first things that come to mind is “Is it possible to keep the format and layout of the text during the translation?”. The answer is yes! 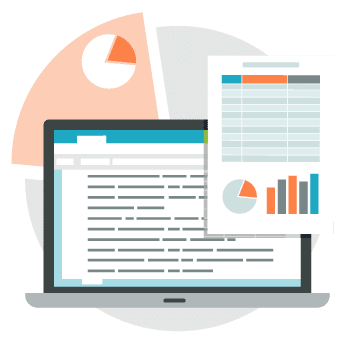 In every project, our goal is to keep the layout and format of the original document and deliver the translated document with the practically same layout and format to make sure that every part of the document is identifiable. Therefore, Universal Translation Services offers the delivery of translated target documents as part of its value-added services. Keeping the original layout and format is relatively simple in the case of editable files (e.g., Excel, MS Word, PowerPoint, etc. ), while non-editable files (e.g., PDF or image files) need special software and further precise work. Also, there are variations between the different types of non-editable files: in most situations, converting and post-editing a photographed document that also includes handwritten text takes typically longer than the equivalent manner for a one- page PDF document. Several and education institutes and universities cooperate with us worldwide in every state. 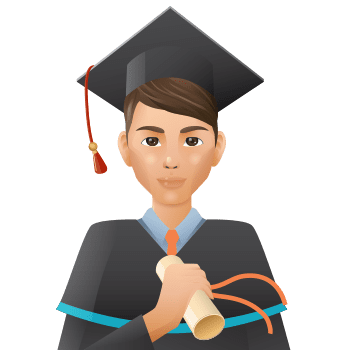 They hire us for high-quality diploma translation services to keep the format and convert the documents so you can be clear to show your diploma and grades to your new university or high- school. Where Can I Translate My High School Diploma? 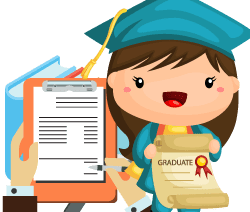 Lucky for you, we provide diploma translation services for all sorts of diplomas, degrees and transcripts. With our expert translators, you have got nothing to worry about. Our team will provide certified translations of your high school diploma, so that it gets acceptance everywhere including the immigration department. So if you were tensed, relax now and visit our website for further details. You are applying for a university, and you are asked to submit a certified copy of your high school diploma, what would you do. You’d most certainly get sceptical as to which kind of certification is necessary and where will you get it. Will a certified translation be enough or would you need something additional. We can help you get rid of all that. With our deep understanding of the diploma translations, we can take care of your certification and Translation at the same time. We can also guide you on the requirements and submissions, so you can entirely trust us for all your translation needs.